Investors blindsided by gloom and doom? In the six years since Mr Piyush Gupta took over the helm of DBS Group Holdings, the banking giant has become twice as profitable while almost doubling in asset size. Full-year net profit shot up from $2.04 billion in 2009 - the year Mr Gupta joined the bank - to a record $4.05 billion in 2014. Last year, it kept up its record-setting ways. First-quarter net profit hit another record of $1.27 billion. The second and third quarters were almost as bounteous, with net profits of $1.12 billion and $1.07 billion respectively. DBS' share price has mostly reflected its growing success. From a closing price of $13.72 on the day Mr Gupta arrived at the bank, it surged to an eight-year high of $21.43 in July last year - marking a 56 per cent jump over the period. Judging by the damage inflicted on DBS' share price, it is as though Mr Gupta's painstaking hard work in growing the bank from strength to strength in the past six years has counted for nothing, as investors scrambled to get out of bank shares in the past seven months. Since then, however, the share price has abruptly parted ways with the bank's sterling performance, with DBS losing almost two-fifths of its value. At Friday's close of $13.02, it was trading at 5.1 per cent below the price on the day Mr Gupta took over the top job. Some may say the stress reflected in the share price of DBS, and indeed those of the other two local lenders - United Overseas Bank and OCBC Bank - has to be viewed against the larger backdrop of the even worse travails suffered by much bigger lenders worldwide. Last Monday, while Singapore and Hong Kong were closed for the Chinese New Year festivities, Deutsche Bank plummeted 9.5 per cent while other European lenders, such as Barclays, BNP Paribas and Unicredit, all slid around 5 per cent. After the market closed, the German lender had to take the unusual step of reassuring the market that it had enough money to pay the coupon rate on some of its debts due in April. Worse, even German Finance Minister Wolfgang Schauble had to speak up for the lending giant, saying he had "no concerns about Deutsche Bank". The next day, it was the turn of Japanese lenders to come under heavy selling pressure, with Mitsubishi UFJ and Nomura tumbling by around 9 per cent in a day. Even United States banking giants have not been spared the rout, even though they have done much to repair their balance sheets since the global financial crisis of 2008. Last week, Citigroup fell 5.8 per cent while Bank of America was down 7.7 per cent. This suggests that the collateral damage inflicted on Singapore lenders' share prices has been caused largely by a worldwide sell-off by worried investors, as they made a not-particularly-auspicious start to the Year of the Fire Monkey. Mr Tidjane Thiam, the boss of Credit Suisse whose share price has almost halved since he took over amid great expectations last July, was quoted in the Financial Times as saying that his bank is "stronger than ever" and that the unceremonious dumping of bank shares was "not justified". But investors are in an ugly mood. Their concerns are many and varied, ranging from low interest rates, which put a squeeze on their wafer-thin profit margins, to woes in China, poor global economic growth, weak oil prices and the risk of higher loan defaults. Some market pundits even likened the recent rout to the global financial system facing another Lehman Brothers moment. That momentous event triggered a massive sell-off in banking stocks after the US investment bank failed in 2008 - heralding the financial crisis. However, Swiss investor Felix Zulauf, who runs Zulauf Asset Management, warned of a more sinister scenario, suggesting that China's economic woes may trigger a banking crisis in Singapore. "Singapore, which has attracted a lot of foreign capital over the years because of its strong currency state, will be extremely exposed to the situation in China… Singapore is now losing capital, which means the banking industry is losing deposits," he was quoted as saying at Barron's Roundtable. But if recent reports by analysts tracking the local lenders closely are anything to go by, his views may well be too gloomy. UBS analyst Aakash Rawat, for example, said concerns over any capital shortfall facing local lenders look misplaced, even though there are worries over a possible rise in non-performing loans and a China economic slowdown. At current depressed valuations, the market is "implying around a 35 per cent to 40 per cent fall in their earnings from the peak" - a scenario which appears to be implausible, for now. 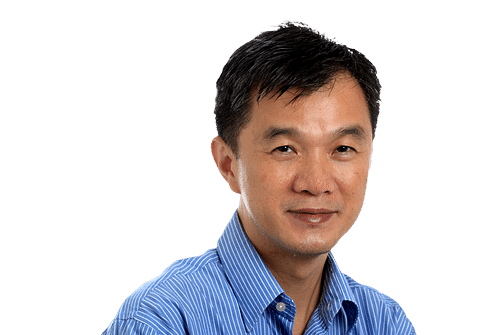 HSBC analyst Loo Kar Weng, who described local lenders as "great values at current levels" in a recent report, notes that even after taking in conservative assumptions on growth, credit costs and net interest margins, local lenders are trading at crisis-level valuations of 0.8 times book value. Still, one big lesson from the 2008 financial crisis is that we risk getting caught in a dreaded negative feedback loop, with market turbulence triggering the very economic slowdown that we fear. Indeed, investor anxiety may well become the catalyst for a fresh economic slump if we are not careful. One example of the turmoil spilling over from Wall Street to Main Street is the reluctance of consumers in developed economies such as the US to use the windfall they get from ultra-cheap oil prices to spend more. Apparently, they have been using the extra cash to pare down their debts or just leaving it in the bank. As cogs in the economy, banks play a vital role in transmitting credit to firms and households. This raises the concern that the market turmoil may cause them to tighten their lending standards and cause credit - the oxygen needed by companies to sustain their business - to dry up. To try to get the banks to lend, Japan and some European countries such as Sweden and Denmark have cut interest rates below zero. But this only further exacerbates fears among investors of falling bank profits and produces even more stock market turmoil as they scramble out of bank shares. When confronted with the Great Depression 83 years ago, then US President Franklin Roosevelt famously observed that the only thing we have to fear is fear itself. We have to seriously ask ourselves if we are scaring ourselves silly in the mindless sell-down of top-quality banking shares such as DBS recently.